LIMA-CAJAZEIRAS, Brazil, Oct 29 2018 (IPS) - Young Peruvians plan to take advantage of the knowledge acquired in Brazil’s semi-arid Northeast to bring water to segments of the population who suffer from shortages, after sharing experiences in that ecoregion on the multiple uses of renewable energies in communities affected by climatic phenomena. Freyre Pedraza and Yeffel Pedreros, both 24-year-old environmental engineers, were part of a group of 10 Peruvians who, along with activists from Bolivia and Brazil, participated in the First International Course on Renewable Energies, held this October in Cajazeiras, in the Northeast Brazilian state of Paraíba. 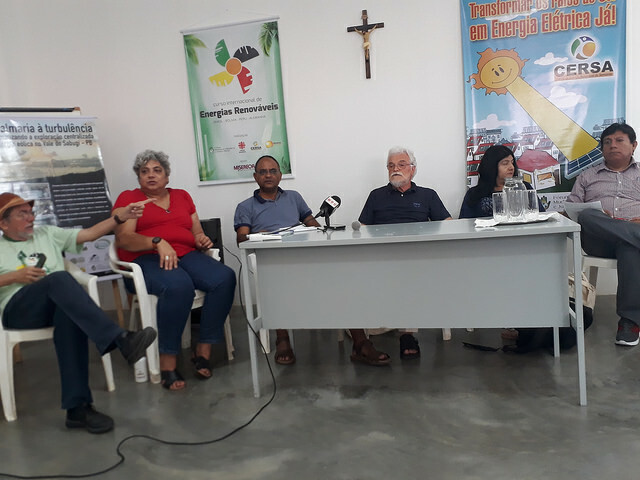 “We have learned about concrete experiences of how solar energy can improve the lives of families in rural communities,” Pedreros, who in Lima is an environmental activist with the Citizen’s Movement Against Climate Change (Mocicc), a national platform of institutions, collectives and activists, told IPS. Mocicc is active in the district of San Juan de Lurigancho, the most populous municipality in the Peruvian capital, with more than one million inhabitants who came in different waves of migration from different regions of the country. Located northeast of Lima, the district’s poorest families lack piped water and electricity. “Installing solar panels could generate energy to pump water to the houses in the highest areas and replace the oil-fueled pumps currently in use,” says Pedreros, as he climbs the hillside where the June 24 Family Group, made up of 62 homes, sits. In this neighbourhood on the outskirts of Lima, about 40 minutes by car from the Plaza Mayor, where the buildings of the national and provincial governments are located, there is no piped water, no drainage systems, and no electric grids, making living conditions for local residents even more difficult. Against this backdrop, the experiences acquired in the municipalities of Cajazeiras, the neighboring Sousa and others in the state of Paraíba, mean for these young engineers and environmental activists, as well as members of the non-governmental Cenca Urban Development Institute, opportunities to enrich their work. “They took us to see organic family gardens that are irrigated with solar-powered systems, and that is something we would like to replicate here where we also promote agroecology,” Pedraza told IPS, while showing the common areas where the June 24 families grow vegetables and aromatic herbs, which are included in their daily diet. The idea, she explained, would be to install a sewage collector that treats the waste, store it in a reservoir that would be in a public school in the lower-lying part of the district, and then through the energy generated by solar panels distribute it for irrigation on family gardens in the upper parts. 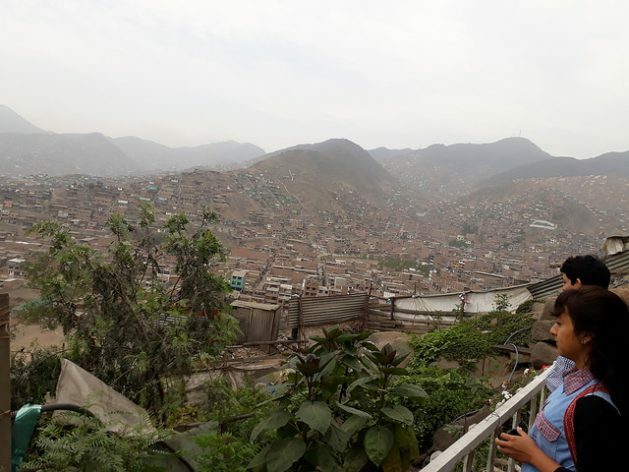 Each family of four members on average is supplied every two weeks with 1,100 cubic metres of water through hoses that connect to several basins, installed by the Lima water and sewage company, or from tanker trucks, in the case of houses in the highest areas on the hillsides. During the international course held Oct. 10-17 at the Federal Institute of Paraíba, the participants learned about generating solar energy “from the most basic points,” Pedreros said. The participants also travelled to the rural community of Varzea Comprida dos Oliveiras, in the municipality of Pombal. This northeastern settlement is an example of how the use of renewable energies has had positive effects, such as increased self-esteem among local residents, an increase in productive activities and the collective awareness that energy is a common good and not a commodity. The Community Association of Varzea Comprida dos Oliveiras is made up of 84 families that work mainly in organic family agriculture. 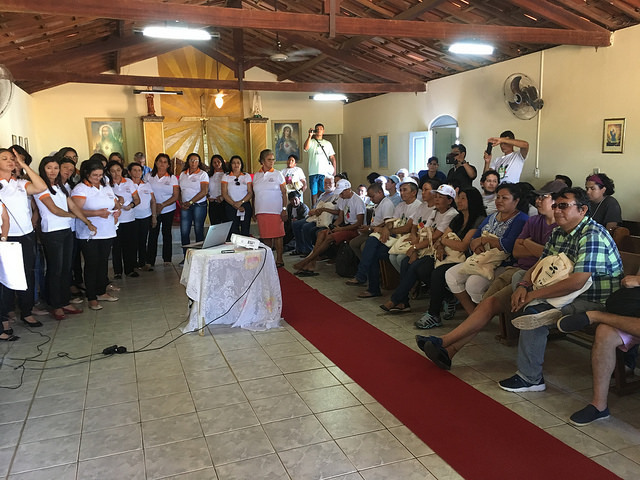 The Association’s president, Solange de Oliveira, detailed the changes in her community when she welcomed the participants in the international course, the organisers and journalists, including IPS, to the parish hall. “I am an ecological farmer. We are empowered women and with the community we have a lot of social discussion about how we need public policies that bring people dignity,” she said proudly. In this small town in Brazil’s semi-arid region, the parish church, the communal bakery, where 19 women work, and the orchards are supplied with energy generated by solar panels. In addition, they have a pilot project of a biodigester for the production and packaging of biogas that will benefit local families. “Here we operate with solar energy, we use water sustainably, we reuse it to avoid waste, we seek sustainable development while taking care of the environment. We can’t change nature, but we can change the boat that takes us to our destination,” Oliveira told the packed auditorium. On a tour afterwards, visitors were shown the bakery, the biodigester, the water reuse system and the irrigation of the organic orchards. Like the other Brazilian, Bolivian and Peruvian activists, Pedreros and Pedraza kept asking questions, in order to analyse how to replicate the Varzea processes in their own communities. The large green fields of vegetables drew their attention, as well as the irrigation system, which uses a slanted concrete patio where rainwater runs into a tank to be collected and then pumped into the fields. 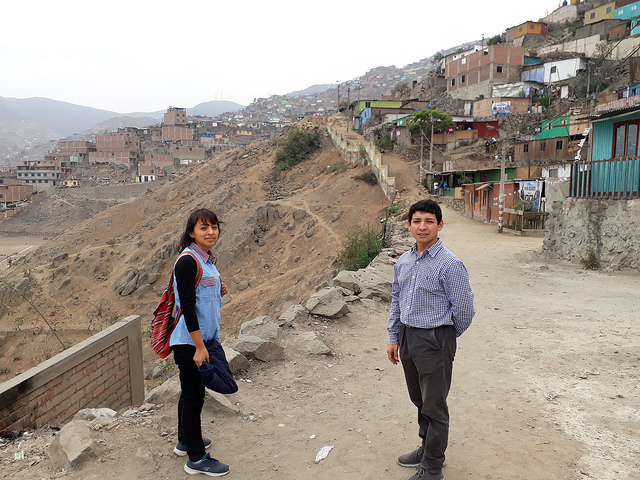 Their work on the hillsides on the outskirts of Lima is aimed at providing poor families with the means to improve the environment in which they live, to improve housing, water and food security. “We came up with a lot of ideas,” they said. Brazil’s semi-arid Northeast, where 27.2 million of the country’s 208 million people live, is permanently threatened by drought, in a phenomenon intensified by climate change. But the widespread perception of this region as unlivable has been changing, as people have learned to coexist with the challenging environment. Mariana Moreira, a professor at the Federal University of Campo Grande, is involved in the movement to promote this newfound “coexistence” with the semi-arid ecoregion, instead of fighting against its nature. “This approach arose in the 1990s to combat drought and the idea that this is an unlivable no-man`s land. We seek to deconstruct that view and take up the idea of coexistence, giving importance to popular knowledge and the role of women,” she explained. This view requires long work with local communities themselves, and in the case of Varzea, it has led people to collectively assume the demand for energy as a common good and not as a commodity. This is a challenge for the organisations from Peru and Bolivia, which together with others from Brazil and the participation of one more from Germany make up the Group 3+1, the organiser of the international course on renewable energies. As stated in the Cajazairas Charter, published by the participants at the end of the course, access to clean and sustainable forms of energy is a fundamental human right of all peoples. For Pedraza and Pedreros, any proposal needs to be discussed with the families themselves in order to be effective, a challenge they are willing to take on.